This post truly is dedicated to my husband and to my dad. When I was growing up we always had a garden and my dad took great pride in his methods. He had particular ways to plant seeds and he’d build up the rows so he could water a certain way. These ways were the ways his dad taught him when he was a boy in Spain. Every year he would generally plant the same things and potatoes were always one of them. 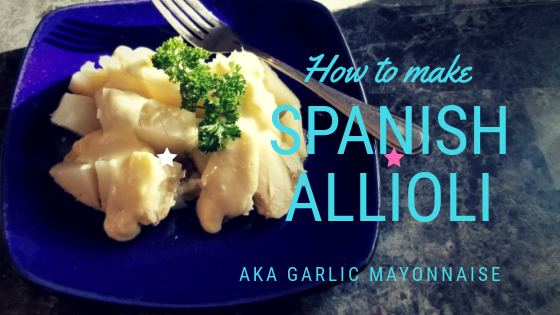 New, baby potatoes were a favourite because they meant one thing…Spanish Allioli! Which is basically garlic mayonnaise and it’s delicious! It is especially delicious with new, baby potatoes! When I first got together with my husband, who LOVES garlic, I made it for him and I’m fairly certain that’s why he asked me to marry him…I kid…but not really 😉 He’s the one who wanted me to share this because as he said people NEED to know this! This isn’t exactly a family recipe but it is a recipe my Grandmother taught my dad. It’s really easy and could be used in place of ordinary mayo for just about anything. It’s very garlicky so if you love garlic this is definitely for you! 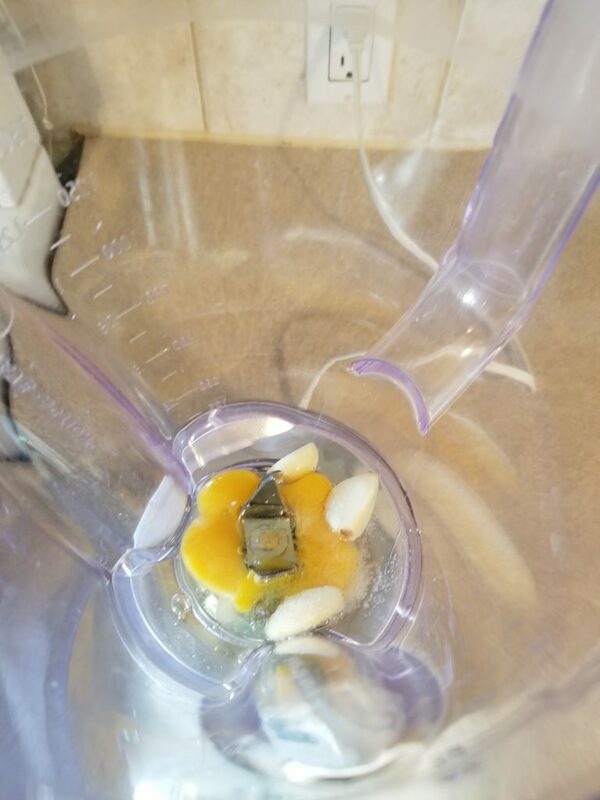 All you have to do is put the garlic, egg and salt in a blender or food processor and blend it a bit before adding the oil. Very slowly add the olive oil, basically at a trickle, while blending on pulse. The trick that works best for me is to add a little oil and blend a bit, continue like that until there is no more oil. By the end, it should be thick like mayo, if you add the oil too fast it won’t thicken and you’ll have to start again. Once it’s thick you can add the lemon juice and blend enough to mix. That’s really all there is to it. Please let me know what you think! Great simple recipe!! I’m definitely trying out this weekend. Thanks a lot for sharing. It is really good! I hope you enjoy it! I really have to try this. 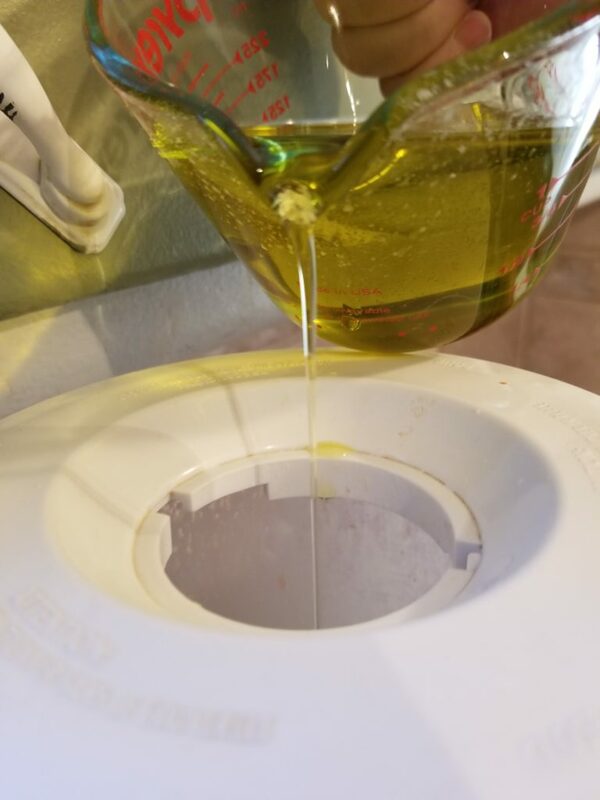 Have you ever used this allioli to make deviled eggs? How was it? No, I haven’t but what a great idea!